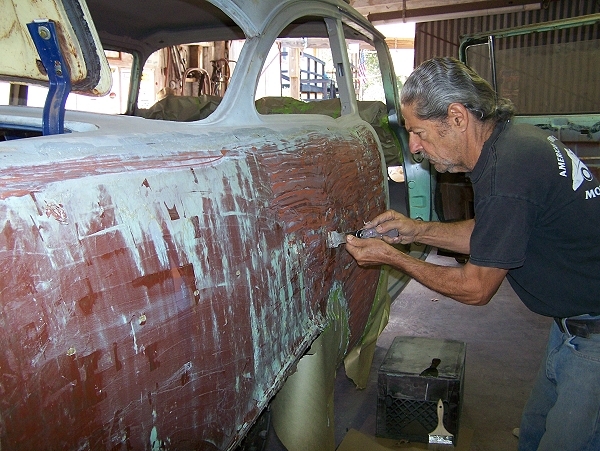 "OLD GUY SCOTTS BLACK WIDOW"
"Old Guy Scott" shows more lead work. 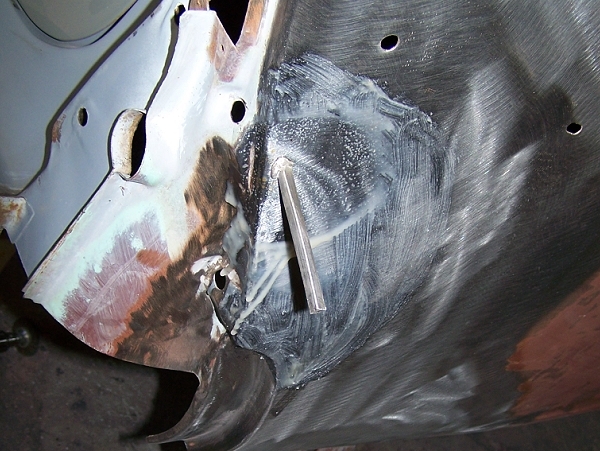 Any edges must be leaded in order to hold up as a permanent fix. 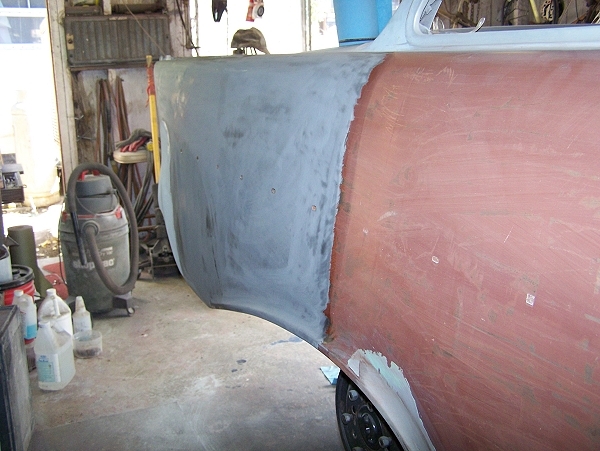 See photos showing lead stick work and vixen file work. 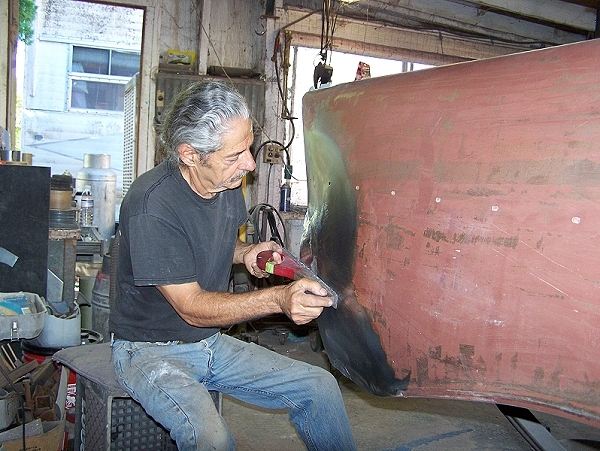 This is how you make a perfect tail light fit. 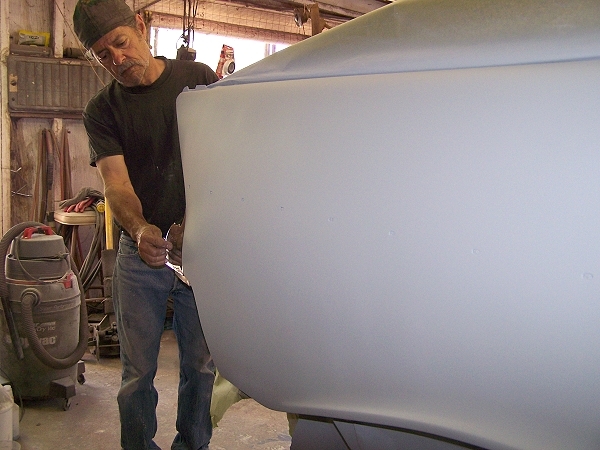 "Old Guy Scott" uses a polyester primer filler coating, because it sticks really well and block sands easily. 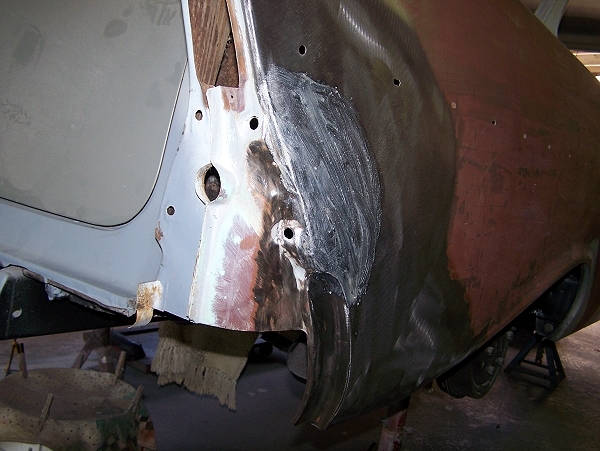 Striping to bare metal and proper metal prepping is always a must in order to have an excellent result. See photos.